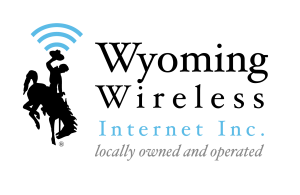 Managed IT Services :: Wyoming Wireless Internet Inc.
With the addition of Jordan Ham, previous Owner and Operator of Futurum Technologies LLC to our staff as IT Director, we are now able to offer Managed Information Technology (IT) services as well as complete IT solutions. We partner with industry leading companies and distributors to bring big city technology together with small town friendly service. What is a Managed Service Provider (MSP) and what are Managed Services you ask? It's a great question that a lot of businesses ask! The simple answer is: we manage and maintain your servers, computers, and networking infrastructure so you can focus on what you do best. The complex answer is: that's not all we do, we can manage and provide a countless number of enterprise grade services and products. Anything ranging from but not limited to: all types of hardware (workstations, laptops, servers, networking, and anything in-between), servers and workstations in the cloud, email hosting, antivirus and firewalls, offsite backup, cloud file storage, Microsoft Volume Licensing, and so much more! Chances are, if you need it, we can already do it, and if we can't do it today, we are always willing to learn and figure it out, we will strive to be able to do it tomorrow. So please don't hesitate to contact us if you are in need of services, we value local business and look forward to the possibility of working with you!